Can Caprylic Acid Get Rid of Candida? - YeastInfection.Org by Eric Bakker N.D.
You are here: Home / Diet And Yeast Infection / Can Caprylic Acid Get Rid of Candida? Update 10 Feb 2015: Caprylic acid alone is not good enough to eliminate candida infection. You need variety of other good ingredients in a sustained formula to eliminate and get rid of candida faster. 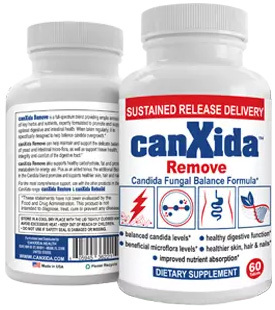 Check out canxida remove at canxida.com their supplement contains 11 of the most potent antifungals that I recommend. Caprylic acid is widely used in the manufacture of fungicides, perfumes and dyes. Apart from this, the Health Sciences Institute mentioned that this liquid fatty acid can offer various health benefits to humans. More and more people are using this particular acid due to the benefits it can provide. Ingesting caprylic acid can treat yeast infections such as candida. Read on and find out interesting facts you need to know about it. Caprylic Acid – What is it? Caprylic acid is known for its antifungal properties. It is a particular type of fatty acid that can be found in breast milk, palm oil and coconut. Also known as octanoic acid, this saturated fatty acid is as healthy and beneficial as the other fatty acids like lauric acid and capric acid. How Can Caprylic Acid Help Against Candida Overgrowth? There are a lot of nutritionally-oriented health professionals who recommend taking caprylic acid because it has been found to treat Candida overgrowth syndrome. Candida is known as a yeast that is naturally found within the gastrointestinal tract together with different bacteria. However, when a person uses antibiotics, it may lead to certain problems specifically when there is an imbalance between the presence of candida and the bacteria. When such imbalance occurs, it leads to a certain condition known as candida overgrowth syndrome. This condition may result to several symptoms such as headache, depression, fatigue, diarrhea, bloating, vaginal yeast infections and gas. With the help of caprylic acid, it encourages the growth of beneficial microflora within the digestive tract. Since this fatty acid can restore the balance of microorganism in the intestine and the body, it can help get rid of excess candida. The best thing about caprylic acid is the fact that the intestines can quickly absorb and deliver it into the bloodstream. How To Take Caprylic Acid? Caprylic acid can be purchased in tablet and capsule forms. There are caprylic acid supplements that are available in 500mg and 600mg gel capsules. According to health experts, it is best to opt for caprylic acid in capsules because they are more effective compared to the liquid form. The capsules slowly release the fatty acid in order to take effect in the intestinal tract. Medical experts also advised the ingestion of caprylic acid together with other antifungals such as black walnut and oregano oil. It can be taken together at once or you may allot 3 to 4 hours before taking another type of antifungal. Who Should Take Caprylic Acid? Aside from candida overgrowth syndrome, those who are suffering from fungal or yeast skin infections should take this healthy fatty acid. On the other hand, it should be noted that caprylic acid is not for everyone. According to health professionals, it is not recommended for breastfeeding or pregnant women. Since this fatty acid may cause stomach upsets, it is not suitable for children and adults who have a sensitive stomach. The recommended dosage for caprylic acid for 18 years and older is 1,000 to 2,000 mg per day. It can be taken three times a day about 30 minutes before every meal. For first time users, they are advised to begin with a smaller dosage. Taking 500mg of capsule once or twice a day is recommended. After a few days, it is advisable to increase the dosage. Taking caprylic acid for about three to four months is the usual treatment course. Slowly increasing the dosage can prevent yeast die-off effect, a certain phenomenon that occurs when you take antifungals and the body is overwhelmed with toxins the moment the yeast is killed off. On the other hand, children 18 years and younger are not advised to take caprylic acid supplements. If there is a need to, it is best to consult a doctor first. Fighting candida is one of the best benefits of caprylic acid. With this, it also promotes healthy body because it lessens the problems associated with candida such as chronic fatigue syndrome, depression, abdominal bloating, etc. With its antifungal properties, this fatty acid can dissolve the cell membrane of the candida cells. When this happens, the cells die off. Based on studies, caprylic acid can help in treating children with epilepsy. Experiments were able to prove that it can control seizures suffered by the patients. On the other hand, there has been a series of studies proving the ability of caprylic acid to delay the progression of Alzheimer’s disease in adults. However, additional studies need to be done in order to fully confirm it. Aside from treating candida, it is also effective for external yeast infections such as ringworm, jock itch in men and vaginitis in women. With the help of caprylic acid, the cell walls of the bacteria that cause the infections are dissolved. Some people also use this healthy product to treat toenail fungus. Moreover, there are those who use it to get rid of thrush, a certain type of yeast infection in the mouth. In rare cases, patients taking caprylic acid may experience certain side effects, such as headaches, mild stomach upset, bloating, vomiting, diarrhea, constipation and abdominal pain. Such side effects may range from mild to severe, depending on the dosage. Taking a high dosage of this fatty acid may result to indigestion and heartburn. Health professionals advise the need to take caprylic acid with meals in order to avoid these reactions. There are people who follow a candida treatment plan that includes taking probiotics and antifungals along with a low sugar diet. However, there are patients who are curious if they can take caprylic acid and probiotics at the same. Experts say that it is advisable to take both caprylic acid and probiotics. The combination of these two can strengthen the immune system, regulate the acidity in the gut and minimize the amount of nutrients available to the candida colonies. In other words, caprylic acid and probiotics can work together to promote a healthy body. As what has been mentioned earlier in this article, when the body is overwhelmed with toxins, this leads to the occurrence of a phenomenon known as die off. This certain effect may lead to flu-like symptoms. Most commonly, such symptoms include headache, muscle or joint pain, body itch, low grade fever, constipation, diarrhea, nausea and/or bloating. These symptoms may range from mild to severe. Experts say that a little die off is a good indication that the treatment is working and effective. However, if it is too severe, it may lead to system toxic overload. When this happens, the body will find it hard to cope up with the extreme amount of toxins being released. In order to handle the situation, it is best to cut back on caprylic acid until the symptoms lessen. If you feel that the symptoms are getting worse, it is best to talk to your doctor about it. It should be noted, however, that yeast die off effect can be prevented when caprylic acid is properly undertaken. Getting your dose of caprylic acid can be done by eating foods that contain it. Foods that are a natural sources of caprylic acid include palm kernel oil, butter fat and coconut oil. This fatty acid can also be found in breast milk. Indeed, caprylic acid can provide great health benefits. With its antifungal properties, people can rely on it to treat fungal infections. To discover more of its health benefits, researches and studies are being done by various laboratories. Can Candida Build Resistance To Caprylic Acid? Please i want to know how you been treated yeast infection? Thank you so much for sharing this invaluable information! For some unknown reason I am susceptible to candida and I’m relieved to now know that I can safely take caprylic acid every day. I toke a wood’s lamp and looked into my mouth, and I could see the bright color across the roof of my mouth going down the back of my throat. Is that Candida over growth? can I take caprylic acid with milk thistle and dandelion root? How long should I take caprylic acid for? How long does it take for it to treat the Candida overgrowth? Am I not allowed to eat certain foods as well with caprylic acid? Hi I’m a 35 year old female. I have candida overgrowth. Thanks for the article. can I also eat coconuts instead of medicine for caprylic acid? Hi. I recently had candida overgrowth and removed it completely from my system with coconut oil. Caprylic acid is the same chemical in coconut oil so if you chose to do the oil instead, you should be fine. Just make sure to take it on an empty stomach and the coconut oil is virgin, unrefined and organic. Good luck!